1. 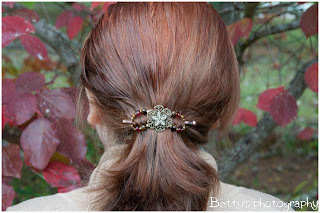 Do you have trouble finding hair accessories that are comfortable, or that will stay put? 2. Are you tired of having to frequently replace your broken plastic hair accessories? 3. Do you wish it were possible to do an up-do in thirty seconds and look beautiful? If you answered yes to any or all of the questions, then please read on! My name is Jennifer Scott and I have been an Independent Consultant with Lilla Rose since June 2012. Eh, what is that you said? Lilla Who? 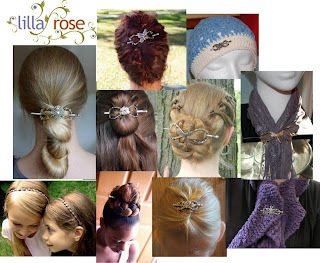 When I ask people if they have ever heard of Lilla Rose or a flexi clip, usually I get a blank look in response. 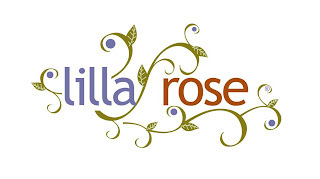 Maybe you are one of those who are not yet familiar with this company but google the name and you will find a lot of buzz about Lilla Rose products! Lilla Rose manufactures hair clips and accessories that are so beautiful, they are called ‘hair jewelry’! or bling is the thing! This is one of the flexi clips Kristina’s daughter will receive! 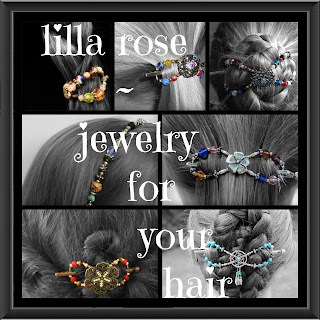 Flexi Clips – These are the flagships of the Lilla Rose product line. Flexi clips get their name from the flexibility of the beaded portion of the clip, which is made with music wire and bends around the hair. The attached pin is coated zinc (think nuts and bolts) and has three notches for added adjustability. This is one STRONG, DURABLE clip that will take a lot of use and abuse. I have heard several reports of customers mistakenly running the car over their clips and the outcome was survival without a scratch! EASY TO USE! Flexi clips are not just for people who are experts at doing their hair! These clips make up-dos a breeze! 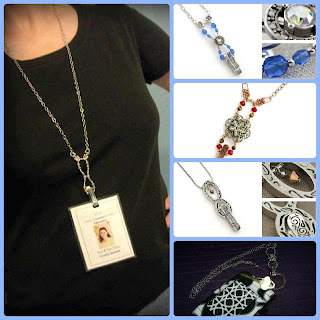 Flexi clips really are a wonderful remedy for those of us (busy moms, especially!) who do not always have the time or energy to spend on our hair. Flexi clips turn even the simple pony tail into something extra special. So even if you didn’t really do anything special with your hair, you will still feel and look like you did! Flexi clips are available in 7 sizes, so be sure to watch the Sizing and Styling Videos to help determine the size you need for your hair type and style. Hair Bands – Another one of my favorite products, Lilla Rose hair bands are made with a stretchy, adjustable comfort strap. They stay in place without rolling and the beads do not pull your hair. Having worn glasses since 4th grade, I never found headbands to be very comfortable due to the added temple pressure but I can wear a LR headband all day! Hair Sticks – The original LR product, these make a nice gift for that pencil-wearer in your life! 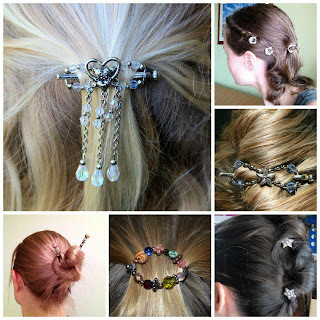 You Pins – Large durable hairpins that are great for putting up long and/or thick hair! Bobby Pins- Very pretty and secure! These babies aren’t going anywhere! Suitable for ALL hair lengths, unless of course, you have a crew or buzz cut. O-rings – A reversible design that folds around the hair to use as a pony tail holder. As it does not have the adjustability of a flexi clip, O-rings are better suited to hair that is coarser or has some body. My MIL loves her O-ring! Badge Holders – Using the figure eight portion of the flexi clip, the badge holders are a beautiful, adjustable alternative to a fabric lanyard. Other uses include keys, eye-glasses or anything else that needs to be hung and kept within close reach! Is there a guarantee? What if I order the wrong size? 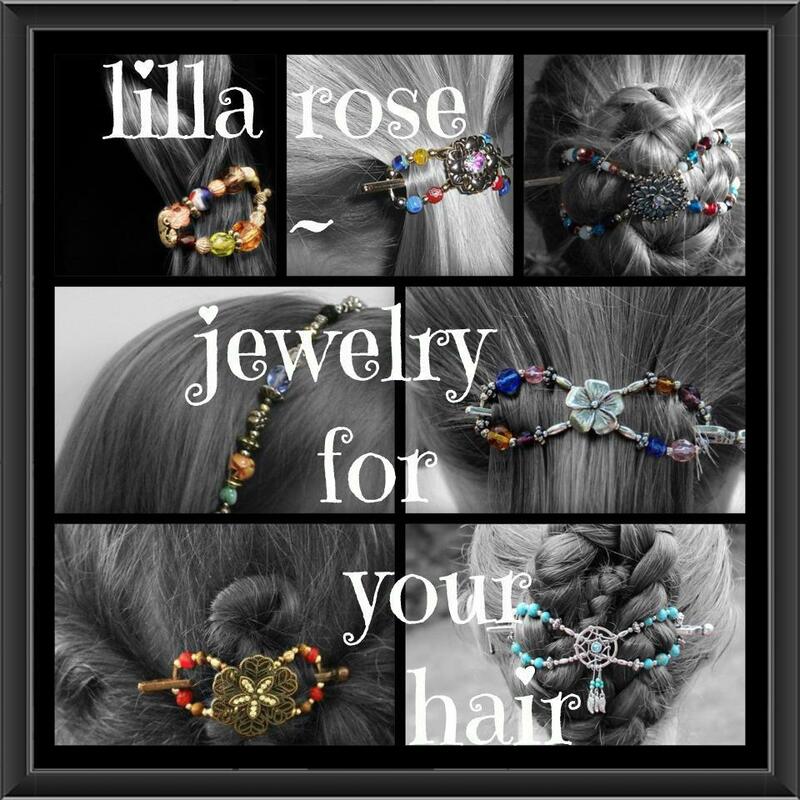 All Lilla Rose products come with a one year warranty and there is a free exchange policy. If you buy an item from my personal inventory, I will happily do an exchange for the size you or your gift recipient wants or needs. Customer satisfaction is top priority! How did you get started with Lilla Rose? 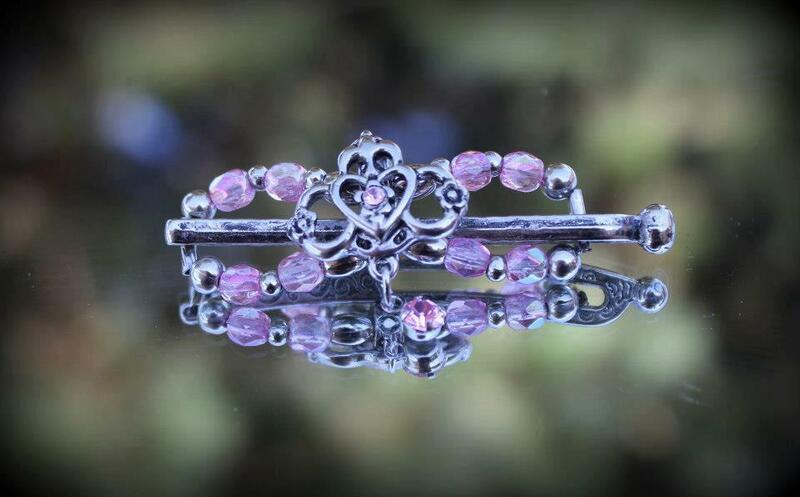 I first read raving reviews about Lilla Rose on a couple of blogs I follow. The clips themselves are eye-catching but it was the content of the reviews that really caught my attention. Comfortable, easy to use, durable! I watched the Styling and Sizing Videos and the clips really did look easy to use. Not ready to spend money on something that I wanted to try first, I unsuccessfully signed up for the giveaways. A short time later, a friend ordered a couple of clips and I was able to try them first-hand. I am not usually one to experience many ‘A-hah!’ moments but this was one of them. Everything that I had read in the blogs was true! Once I experienced the strength, ease, comfort and security of that flexi clip in my hair…well, it was simply love at first wearing! Good-bye broken plastic claws and stretched out pony tail holders! Although never having considered myself a sales-type, I found myself thinking ‘I know a lot of people who can benefit from these, if nothing else I could buy them from myself give them as gifts to friends and family’. After some research into the business opportunity, I signed up. Having no prior experience with direct sales, I didn’t realize until afterwards just how great Lilla Rose is as a company. I feel very blessed to be involved with such a supportive group of people, from the home office to my fellow consultants! What are some of your favorite things about being an Independent Consultant for Lilla Rose? Although Lilla Rose products work well for most everyone, one of the most rewarding aspects about being an Independent Consultant has been to provide a solution to women who have been unable to use or have a difficult time using traditional hair accessories either because their hair is very thick, long, thin or fine. I love seeing the expression on a customer’s face (especially a skeptic) when they put that first flexi clip in their hair and it lives up to its claim that ‘it WILL work in your hair’! I also love being able to showcase the merchandise which is beautiful, practical AND takes up less space than my old plastic claws! How may we find you? Visit my website at www.lillarose.biz/hairtohelp. I also invite you to follow me on Facebook, Lilla Rose ~ Jennifer Scott where I post specials, tips and events. Sharing my love of Lilla Rose has spread to participating in craft/vendor fairs and festivals. Locally, look for me March 23 at the Spring Fling Craft/Vendor Show held at VFW Post 7728, 12496 Harper’s Run Road in Bealeton from 10am-4pm (childcare provided) and also April 6 at the upcoming Sassy Spring Craft Fair to be held at the Buckhall United Methodist Church in Manassas from 9am to 3pm. If you are still reading, thank you for allowing me to share my excitement and love for Lilla Rose with you! 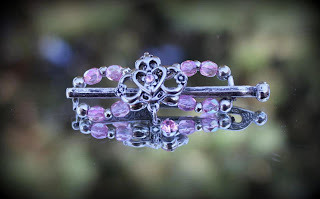 I would like to give 3 readers the opportunity to win a FREE Lilla Rose item of their choice (up to $16 in value). An on-line account is required to complete the offer. This giveaway is open to residents of the US and Canada. Enter using the Rafflecopter below. NEWS FLASH! 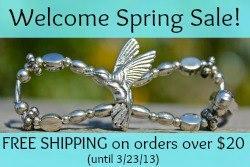 To celebrate the first day of Spring, Lilla Rose has announced a FREE SHIPPING sale on web orders with a retail value of $20.00 or more. This sale will run until midnight, Saturday March 23, PST (that is 3am, EST). Exchanges are free, so this is a GREAT time to try out Lilla Rose! Orders typically ship within 24 hours and arrive in 3-4 business days with standard shipping. Jennifer is a long time resident of Prince William County and in addition to Lilla Rose, keeps active between family (for whose support she will be eternally grateful), church, feline rescue with PW/RCAR and various musical endeavors, which include a small private teaching studio, Broad Run Strings and the Manassas Symphony Orchestra. She also has developed a passion for Traditional Foods and wants to use her business to serve God and others.